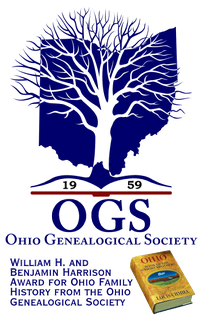 Moving ahead 12 pages, the John Van Cleve family had moved to western Pennsylvania in 1785, and in 1790 they moved on to Ohio. By 1789, Robert Benham had moved on to a nascent settlement on the north bank of the Ohio River, across from the site where ten years earlier, he had been shot and left for dead. In the latter months of 1788, a survey crew had put up a few small cabins for shelter as they worked at laying out a town in the land within the Symmes Purchase, between the Great Miami and the Little Miami Rivers. At that site, then called Losantosville, Robert Benham erected a log house in 1789 amongst a few tiny cabins. After Robert had put down roots, his siblings up in Washington County, Pennsylvania would not be far behind. In 1789 back in Pennsylvania, John Van Cleve had moved his family to the banks of the Monongahela River in preparation for a descent down the Ohio. From this place, John cultivated a small piece of land, worked at his trade as a blacksmith, and began building the large flatboat that would take his family down river. From their position on the river, the Van Cleves witnessed the beginnings of a trickle of migration to the land within the Symmes Purchase in what would become western Ohio. By the end of the year, they would be ready to make the trip downriver themselves. As the Van Cleves were preparing for the move to Losantosville, they were also anticipating the arrival of another child. In July, on the 29th day of the month, John and Catherine welcomed another daughter into the world. They named their newest addition Amy. While the infant Amy was spending her first months finding her way into the world, her family was readying for the move to Ohio. As the season moved from summer deep into fall, the time for departure neared. The time completing the flatboat and stocking it with the supplies for the trip was pursued in anticipation of the time when the river was at its highest stage, which would allow for the most expedient and secure trip possible. As the year was coming to an end, the Van Cleve children, growing older now, were able to be of more help to their parents in preparing for the trip. In December of 1789, Benjamin, the oldest, was nearing seventeen years of age, Anna was fourteen, Margaret, the future grandmother of the Wright brothers was nearing twelve years of age, William was eight, Mary near three, and the infant Amy was five months old. They were all about to embark on a venture that would place them among the earliest pioneers of the future state of Ohio. they reached Losantosville they would be greeted there by their brother Robert. On Christmas Day, 1789 the Van Cleve and Benham families cast off on their bold venture down the Ohio River to a new home. Just below Pittsburgh they came upon a sandbar in the middle of the river that hung them up. They were stuck there for about twenty hours before the rising waters freed them and they drifted on. With the decent down the Ohio the matron of the Van Cleve family was in her familiar role as the anchor of a family in transition. In 1778 Catherine Van Cleve took to the woods of Freehold, New Jersey with a four-month-old infant, her daughter Margaret “Peggy”, in her arms. In 1785, she guided her four children through their thirty-four day trek, by horse drawn wagon, through the mountains of Pennsylvania. Now in 1789, she was managing an unpredictable descent down the at times turbulent Ohio River, with her five-month-old infant daughter, Amy, in her safekeeping. Her station was that of a pioneer woman, serving as the domestic backbone of the expansion of America. The Van Cleve/Benham party would drift day and night to reach their destination. When they crossed the western border of Pennsylvania, the river dropped precipitously southward for around seventy miles, at which point it coursed more southwestward for about forty miles. At that point, the river turned decidedly to the northwest toward the mouth of the Muskingum River another ten miles further on. The early path of the river was just a sample of the erratic course they would follow over their week on the water. When their party drifted by the Muskingum River, there was a schooner docked at the mouth of the river at the settlement of Marietta (see map on pg 585). The schooner was the transport of the governor of the Northwest Territory, General Arthur St. Clair. The nascent Marietta settlement was in its second year of development when the Van Cleve/Benham company passed by. I wish to see the sons and daughters of the world in Peace, and busily employed in the more agreeable amusement of fulfilling the first and great commandment, Increase and Multiply: as an encouragement to which we have opened the fertile plains of the Ohio….as in the Land of Promise, with milk and honey. 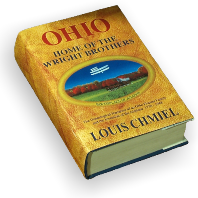 In January of 1786, the Ohio Company was formed in Boston, and after the Northwest Ordinance was passed July 13, 1787 the company purchased 1.5 million acres from Congress. On April 7, 1788, the first party of Ohio Company settlers arrived at the mouth of the Muskingum River (see map on pg. 585). Over the year of 1788, 132 settlers came to the nascent settlement of Marietta. Delaware, and at Yorktown when Cornwallis surrendered. 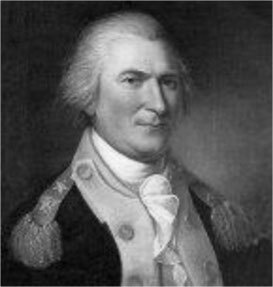 After the war, St. Clair, as a Pennsylvania congressman was elected president of the Continental Congress. When the Congress enacted the Northwest Ordinance on his watch in 1787, he was appointed governor of the Northwest Territory. And in the last days of December in 1789 he was at his post in Marietta when the flatboat of the Van Cleve family, drifting down the Ohio River, passed his schooner which was docked at the mouth of the Muskingham River. In the morning hours of New Year’s Day, 1790, the Van Cleve/Benham expedition was at the mouth of the Scioto River, where the town of Portsmouth would spring up in the coming years (see map on pg. 585). As they passed by the Scioto River, their drifting flatboat was overtaken by the schooner of Governor St. Clair. The fleet schooner of the governor put him in Losantosville on January 2, a day ahead of Van Cleves’ arrival. The day that St. Clair arrived at the settlement he renamed it Cincinnati. In the publication of General St. Clair’s papers in 1882, Benjamin Van Cleve’s memoir was cited as a source for attributing the naming of Cincinnati and the date of the name change to Arthur St. Clair. The families of John Van Cleve and Richard Benham arrived at the newly designated settlement of Cincinnati on January 3, 1790. Robert Benham, already a resident of the new settlement and known for his legendary and unique war experience, could name the governor among his contemporaries in the new community. For the teenage Benjamin Van Cleve, his family’s connections to the territorial governor would a short time down the road prove to be beneficial.